My daughter Sophie just had her first, real dance recital and I had so many emotions! Yup, me! I’m sure Sophie had her debut performance jitters as well, but nothing like her mama! Let me tell you, I was so nervous and anxious for this day, but excited and overjoyed at the same time. My little girl, my baby, was about to show off all her hard work on stage in a large auditorium. Gahhhh! Did I think there was a chance she would run screaming and crying off of the stage? Sure. But I knew that no matter how this day played out, Kyle and I were her number one fans. 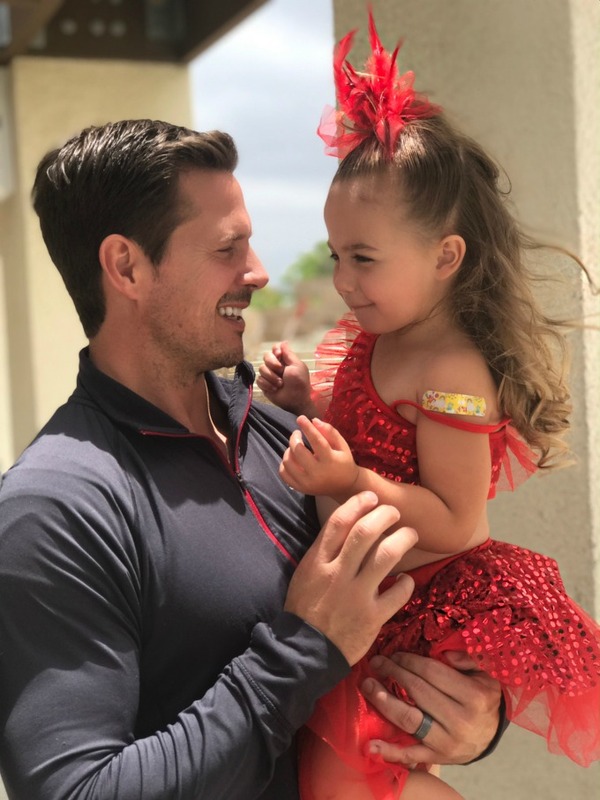 Seeing her in that little red two-piece costume made our hearts melt, and as long as she had a smile on her face, our hearts would be full. As Sophie walked out on that stage and showcased her Rockin’ Robin moves to a full(ish) auditorium, oh man were the tears flowing! Of course I was emotional and so proud of her, but I also couldn’t stop laughing as I found myself doing the moves along with her! I know what you might be thinking now…Jessica, could you be the next Dance Mom? Nope, not me. I still couldn’t bare to put any makeup on her sweet little baby face. 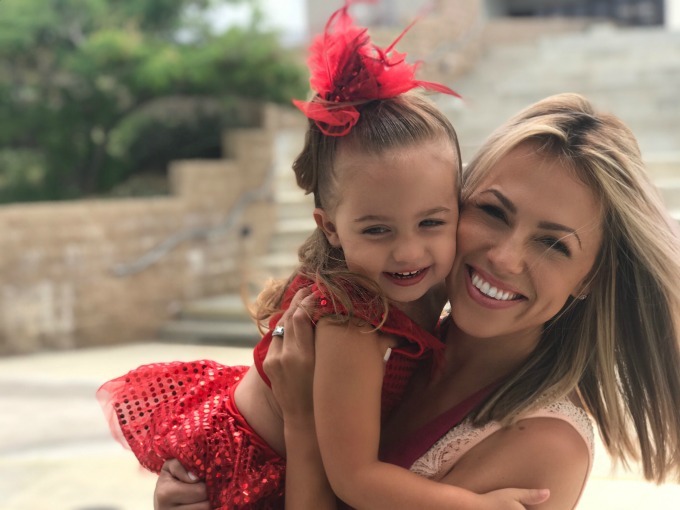 Although a firecracker red lip would have made that sequin outfit pop, I knew there would come a time and place where my little girl would be ready for eyeshadow and lipstick. Until then, I will keep her as little and innocent as possible for as long as I can. Overall, she really did surprise me on so many levels. She has no idea how happy she made her mama. I will continue to take her to her dance classes as long as she keeps smiling and having fun. I’m enjoying this stage in her life so much!